1. Do I have to enter the exact birth time, date, year and place? Yes, exact time, place and date of birth are important for determining exact planetary position. we all are aware of the fact that the Tamil astrology charts, horoscope compatibility reports and predictions are based on exact birth time, birth date and birth place. Birth time should be given in 24 hour format. 2. How to enter my birth place ? Birth place should be very specific. e.g. If a person was born in Mylapore, enter the birth place as Mylapore, not as Chennai. You need not enter full name of the place, just enter the first three characters of the place (myl), then you will see the list of places starting with those first three characters. Now you select your place of birth from the list and click on "select". Upon selection of the place, you will find the longitude, latitude and time zone of the place displayed below the place of birth. Unless you select the place from the drop down list, you can not proceed further and submit button will not appear. If the place cannot be found it is most likely due to incorrect spelling, or some other mistaken entry. If the place is not available, substitute a different town nearby. Don't enter names of any province, state or big cities. Enter the exact place of your birth. e.g. If you were born in Paddington hospital in London city, UK, select country UK, then enter Paddington. 3. How to enter the time zone ? We display the standard time zone along with coordinates. However if you were born during summer time or day light saving time (DST), select the summer time (tick box). If you were born before the change of standard time zone of a country, make sure that the correct time zone for the specific year is entered. e.g. Current standard time of Singapore is 8.00 from GMT. however if a person was born on 1st Jan 1965, change the time zone to 7.30 GMT. Because Standard time zone of Singapore in year 1965 was 7.30 from GMT. 4. Which panchangam or astrological almanac do you use when calculating horoscope charts and compatibility reports? Tamilsonline use thirukanitha panchangam and lahiri ayanamsam. 5. How to get a print out of my full horoscope report or Jathagam, online? Generate your full horoscope or jathagam online, then click the "Full report" button to view the full horoscope page online that is in printable format. 6. What are the recommended browsers? Tamilsonline recommends you to use chrome, firefox, safari and opera. You may also use internet explorer, but make sure that you clear the cache memory. 7. Do you have any video guide or youtube link? Yes, we have the follwing youtube links. 1. How to get your jathagam and horoscope birth charts in Tamil (தமிழில் ஜாதகம்) online. 2. 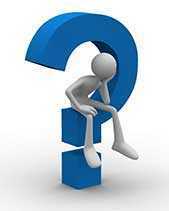 How to check jathaka porutham or marriage matching in Tamil online. Jathagam also spelled as Jathakam, is basically Tamil astrological profile of a person, calculated according to Tamil astrology method, known as jathaka kanippu. Tamil Horoscope along with Sevvai and Sarpa dosham analysis offered by tamilsonline.com are absolutely free. Tamil jathagam by date of birth is a full horoscope report that includes Rasi chart, Navamsam chart, dasa, bukthi, etc in English and Tamil. Generate your fully detailed Tamil Jathagam (ஜாதகம்) by date of birth, free, online. Generate Tamil Panchangam for your town, online. Generate your local Tamil panchangam online and find out the Nalla neram before you sign up any important documents related to long term commitments especially home loan, personal loan, life insurance, credit card, etc. In what ways a person is compatible or incompatible with another is based on the patterns and distributions of planets in the respective and combined birth charts. Tamilsonline offers online marriage horoscope compatibility report based on Tamil jothidam that includes 13 thirumana poruthangal and dosha porutham. Get your carefully analysed fully detailed marriage horoscope matching report or jathaka porutham, free, online. 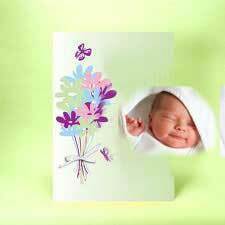 Tamil name astrology recommends that the first akshara (syllable) of a name should be based on the position of moon in baby's horoscope. Each nakshatram and its paatham has its own special sound in tune with the tendencies and inner nature of a child, helping the child grow to the fullest potential. Find out the nama nakshatra of your baby and corresponding first syllable for naming. Find out your personality, special talent and character by date of birth based on Tamil numerology, known as en jothidam and en kanitha sothidam. Although numerology is not part of Tamil astrology, En jothidam along with nakshatra based names are recommended by Tamil astrologers. Buying a jewelery for yourself or your loved ones ! We recommend you to buy a jewelry with a gem stone mounted to touch your body and make sure that the gem is astrologically recommended. 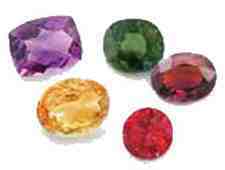 Tamilsonline.com generates your horoscope and recommend the right gem stone favorable to the ruling planet of the current dasa (Thisai) period. Marriage partner compatibility predictions offered by tamilsonline indicates the nature of relationship between two individuals. Tamil astrology says that intimate relationship can be sensational, only when the yoni of both partners are compatible to each other. Yoni of a person is determined by their nakshatram at the time of birth. Are you physically and emotionally compatible to your partner? Find out your yoni porutham or love match, online. The tithi that you were born at, considered to be the most favorable day for worshiping the deity that belongs to a particular Tithi. Find out the Thithi for any given date online. Can you imagine your best friend who turned into your worst enemy? Don't make the same mistake again. Check the astrological compatibility of your friendship now. We generate and analyze the astrological porfile of both and reveal the astrological compatibility between the two. Check the compatibility of your friendship online. Ancient Tamil architectural science is known as Manaiyadi shastram. In Manaiyadi shastram, a home is considered as a living organism, relationship between resident and living space is relevant for healthy and peaceful life. Moving into a rental home or building your own house, check the Manaiyadi shastram compliance, online.